The Precision Xtra Ketone Test Strips 10/bx, made by Medisense, have been designed to make ketone testing at-home an easy process. Used in conjunction with the Precision Xtra blood glucose and ketone meter, these test strips provide you with real-time ketone testing results. We offer these items in single boxes as well as in discounted bulk packages for your convenience. 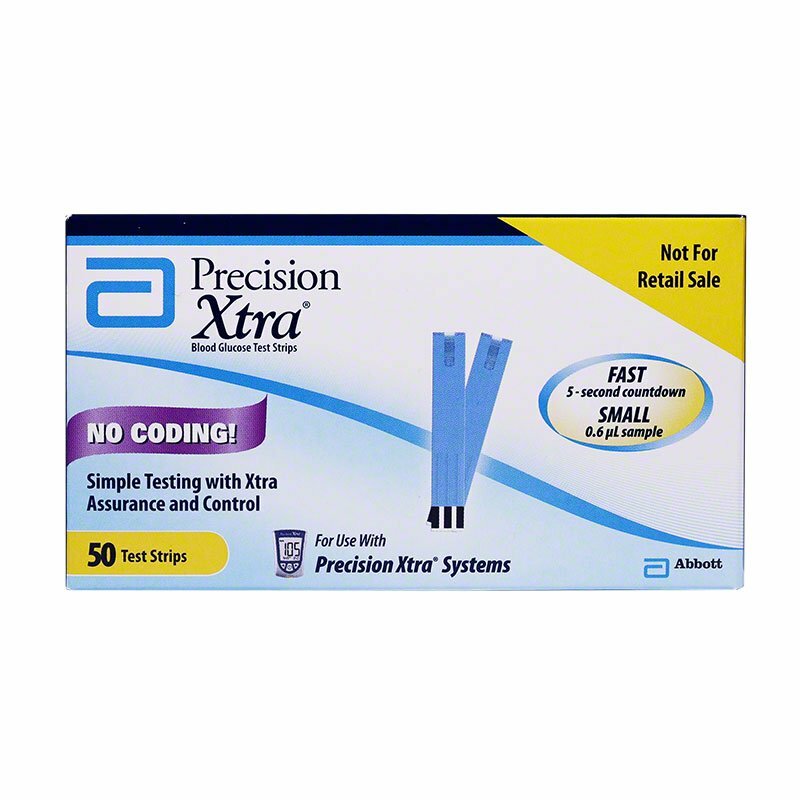 Precision Xtra Ketone Test Strips Box of 10 is used with the Precision Xtra Meter. These strips are intended for in-vitro diagnostic (outside the body) use and are for self-testing or healthcare professional use. The test strips are intended to quantitatively measure blood Ketone in fresh capillary whole blood from the fingertip. They are not intended for use in diagnosis or screening fo diabetes mellitus, but are to be used as an aid in monitoring the effectiveness of diabetes control programs. No coding means one less step. Accurate results in 10 seconds. Sample size - only 1.5 uL. Individually wrapped for easy testing on-the-go.